As the year turns, we see the Art Docents of Los Gatos becoming bigger and better than ever. We have remodeled our office, improved our website and created a super newsletter, and provided even more fun community events in which to take part, like our Children’s Holiday Bus Ride through Vasona, and our “Chocolate, Art and Music” Art Show Event, social Luncheons and Beach, Art And Yoga Days. You have been invited to volunteer in your child’s art class. And your child probably comes home with newly acquired art vocabulary and appreciation for principals of design and elements of art. And for all those who make this possible, at this time of year, we thank our committed Art Docents committee members, some of whom have been with us for 25 years! And we welcome our 18 new Art Docents. And we remember all the good times and people we have met and enjoyed along our journey. 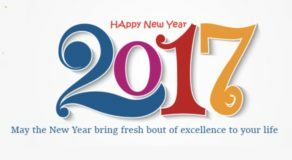 May you prosper and sustain good health and memorable moments in 2017! Quote of the Month: Karma: Think good thoughts. Say nice things. Do good for others.